The Rightline Gear Moki Door Step is helping many people access the roofs of their vehicles. Many Jeep Wrangler owners have purchased the Moki Door Step to wash their roofs, to help them pull back their soft tops, and to load gear on their roof top baskets or racks. 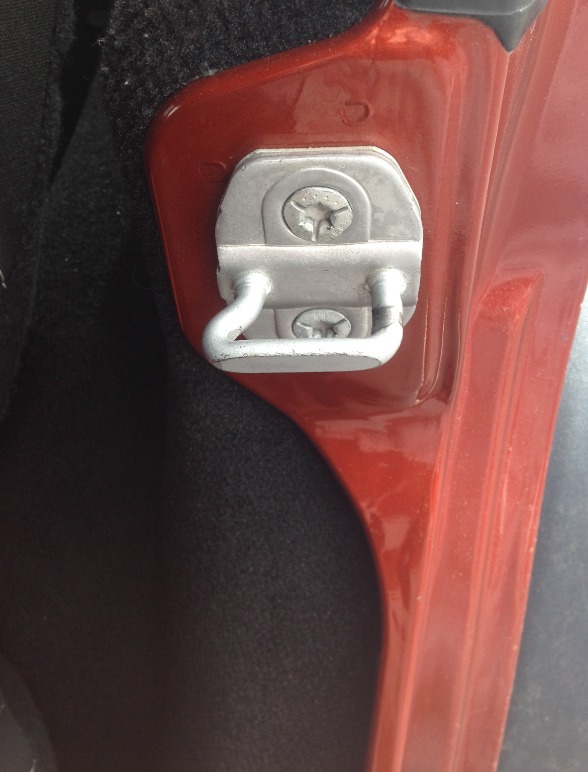 The Moki Door Step hooks on the door latch of the Wrangler and it’s rubber bumper rests against the metal door frame. 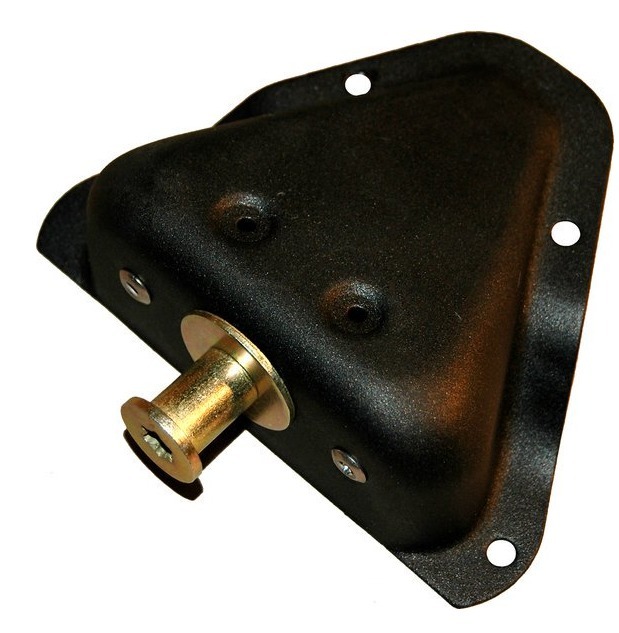 The door latch can handle 2000 lbs of force and the Door Step is designed to protect the door frame. 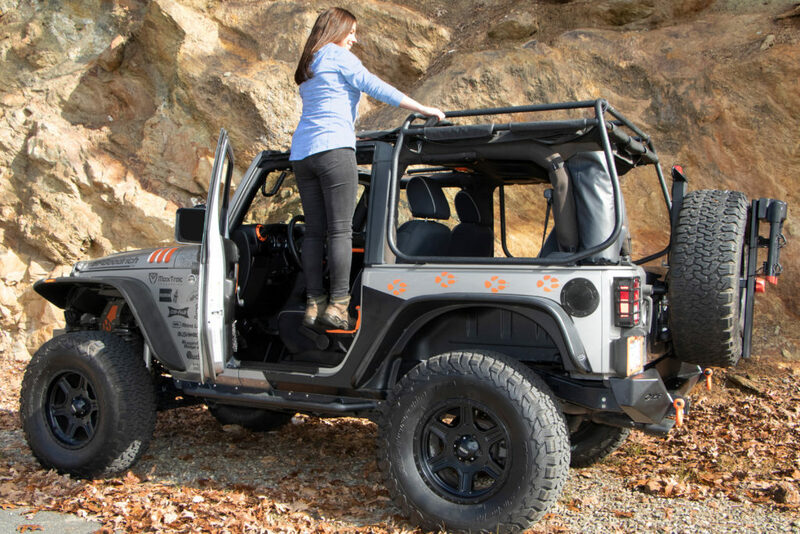 The front doors of the JK Wrangler (2 door & 4 door) and the JL Wrangler (4 door) work great with the Door Step as shown in the photo (photo above). 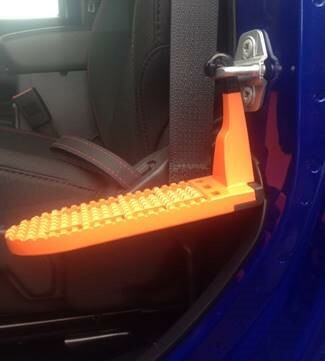 In the front doors of the JL Wrangler (2 door), the Door Step rests on a plastic piece located on the door frame (photo below). Care should be taken if using the Door Step here as it may be possible to damage the plastic piece. Unfortunately, the rear doors of the 4 Door JL and JK (Unlimited) Wrangler do not work for the Door Step. The rear metal door frames have an extremely small surface area and the carpeted piece to the inside of the door frame is not strong enough to provide any support. Likewise, the TJ Wrangler has a small metal door frame that will not support a person’s weight. 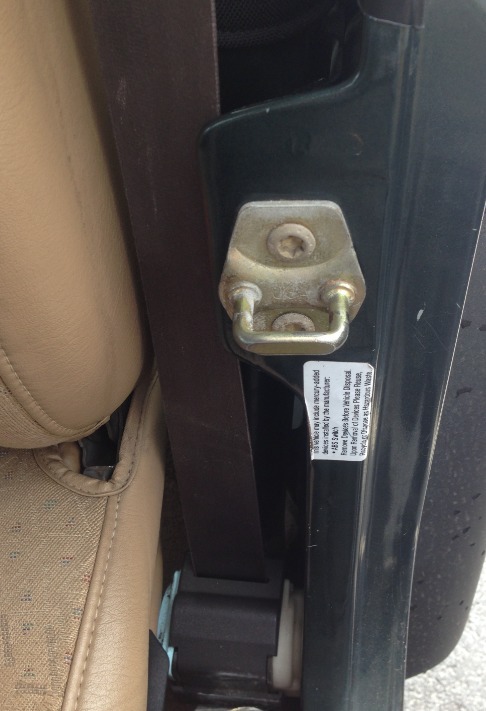 The YJ and CJ Wranglers do not have a u-shaped door latch and, therefore, will not support the Door Step. Their doors are designed with a pin type latch. 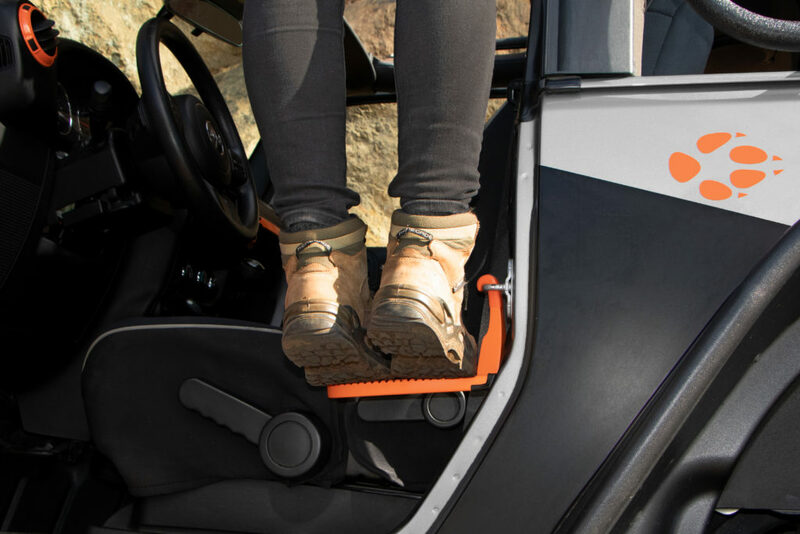 Please let us know if you have any questions regarding the use of the Moki Door Step with your Jeep Wrangler. We are happy to give any guidance that you may need. This entry was posted in Moki Door Step Tips. Bookmark the permalink.